Sable Resources (TSX-V: SAE) is pleased to announce the drill results from drillholes M-DDH-19-20 and M-DDH-19-21 from the company’s active Stage II 19-hole drill program targeting the Margarita Vein and including the first exploration drillholes in four other veins identified at the Margarita Project, Chihuahua State, Mexico. “With intercepts of over 48m of multi-ounce values, near surface, these infill holes build our confidence in the continuity, grade and overall potential at Margarita.” commented Ruben Padilla, Vice President of Exploration for Sable. Acquired as part of Sable Resources Upper Level Epithermal Strategy, the Margarita Project is located in the Satevó Municipality in Chihuahua state, approximately 120km SW of the state capital of Chihuahua City, and 110km NNW of the historic Parral mining district. The Project lies on strike with Sunshine Silver Corp.’s Los Gatos Project. Hosted in Eocene-Oligocene Volcanics, Margarita is defined by 4 veins; Margarita, El Caido, Juliana and Maria on 2 claims totally encompassed by Sunshine Silver. Sable is a well-funded junior grassroots explorer focused on the discovery of new precious metal projects through systematic exploration in endowed terranes located in favorable, established mining jurisdictions. Sables’ main focus is developing their large portfolio of new greenfields projects to resource stage utilizing their Upper Level Epithermal Strategy. Sable is actively exploring the San Juan Regional Program (48,000ha) incorporating the Don Julio Project in San Juan Province, Argentina, the Mexico Regional Program (1.5Mha), incorporating the Margarita, Vinata and El Escarpe drill ready projects and the BC Intrusion Related Program, Canada (13,600ha) incorporating the drill ready Tulox Project. Luis Arteaga M.Sc. P.Geo. 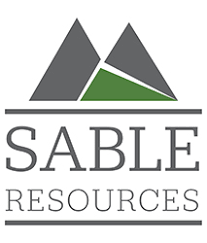 Exploration Manager for Sable Resources and the Company’s Qualified Person as defined by NI 43-101 has reviewed and approved the technical information in this news release.